Mobile service—our shop travels to your home, office or dealership!! Fix your wheels before you sell your car for maximum value, and save money by fixing your wheels before you return your leased vehicle. 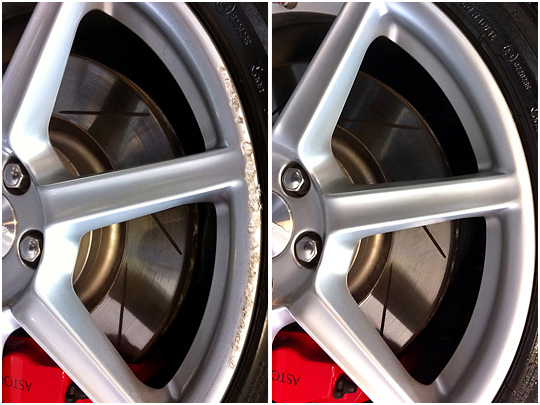 We can also repair polished rims and bring back the original shine. All work carried out at our mobile location, your showroom, home or place of work. Proudly restoring wheels in the Tulsa, Dallas, Oklahoma City, Wichita, Kansas City, Philadelphia, Duluth, Davenport Iowa, Springfield, Joplin, Plano and McKinney areas.